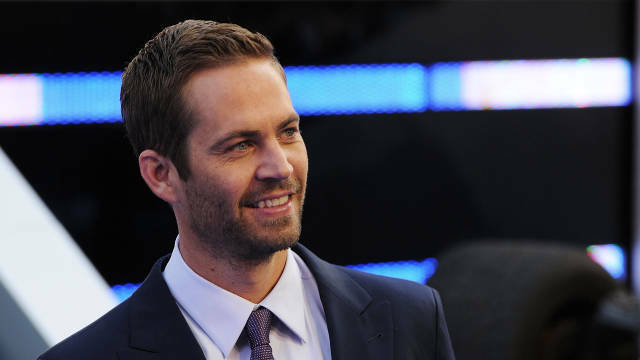 The investigation into the sudden, unexpected death of actor Paul Walker and race car driver Roger Rodas is finally finished. The report states the car was traveling between 80 and 93 mph at the time of the crash—the sole contributing factor to the crash as determined by investigators was excessive speed. Both were wearing their seat belts and both airbags deployed. With cooperation from Porsche, investigators were able to determine that the Carrera GT was mechanically sound before the crash, ruling out any mechanical failure as a cause of the crash. The investigator’s report went on to note that the tires found on the left side of the car were over nine years old at the time of the accident, contradicting the GT’s owner’s manual that said tires older than four years old shouldn’t be used for safety reasons. The right-side tires were too damaged for their age to be determined. Toxicology reports ruled out drugs and alcohol as contributing factors to the crash. Eyewitness reports and security camera footage showed the Carrera GT alone, ruling out street racing. The death of Walker and Rodas are stark reminders of how terribly wrong a crash can go when it is traveling at a high rate of speed. It should be a sobering reminder how fragile life is. This entry was posted in Uncategorized and tagged California, Car Accident, Car Crash, Death, Fast and Furious, Paul, Paul Walker, Roger Roads, speed on March 27, 2014 by Bryan Nguyen. 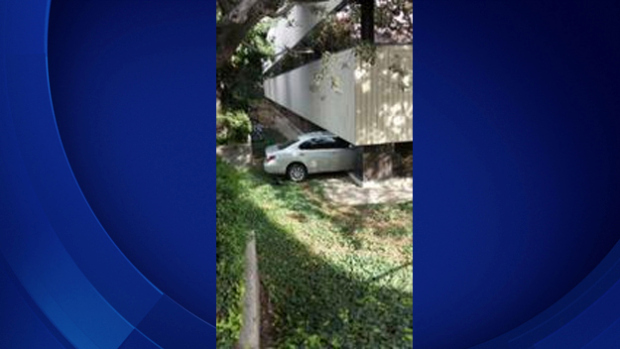 A car collided with a commuter train today in Los Angeles. The accident left 13 people were injured, two of them seriously. The driver of the car, a minivan, didn’t have serious injuries. The driver declined to be transported to a medical facility. The accident occurred around 10 a.m. when the minivan, a Toyota Sienna, apparently ran a red light said Metro spokesman Marc Littman in an interview with WCSH 9 Portland. 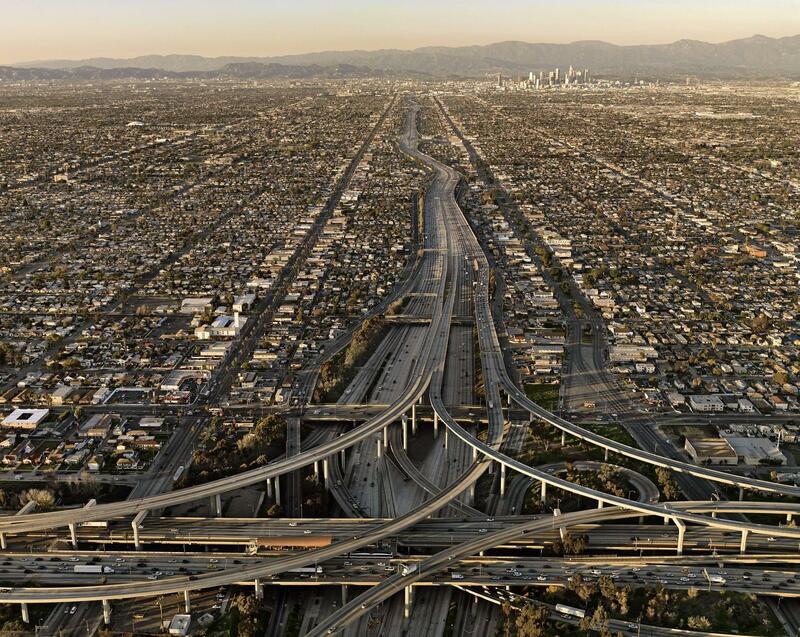 The accident occurred south of downtown Los Angeles. The accident involved a northbound Blue Line train at an intersection. Twelve people who were on the train were taken to the hospital said Fire Department spokeswoman Katherine Main in an interview with WCSH 9 Portland. Ten were listed in fair condition, with two in serious condition. The 22-mile Blue Line between Los Angeles and Long Beach is prone to accidents according to Littman. He says a number of drivers run red lights or turn illegally in front of street-level trains. The investigation into the accident is ongoing. The names of the driver and those injured in the accident have not yet been released. No charges have been filed against the minivan driver at this time. This entry was posted in Uncategorized and tagged Accident, attorney, California, car, Car Accident, crash, law, lawyer, Los angeles LA. Cali, Metro, rail, train, train accident on March 4, 2014 by Bryan Nguyen. Two people were injured Tuesday after an elderly man accidently lost control of his vehicle and drove into a medical building. The accident occurred at 10:15 a.m. at 999 North Tustin Ave., Santa Ana police officials said in an interview with CBS Los Angeles. The unidentified 87-year-old man mistakenly hit the accelerator instead of the break when he was pulling into a handicapped-parking space. “The vehicle, a 4-door Lexus, went over the parking stop, down a small slope and collided into Diamond Medical Office,” police officials said in an interview with CBS Los Angeles. The car took out several large glass walls and came to rest halfway inside the office according to reports. The two injured in the incident, a doctor and female patient, suffered only minor injuries that resulted from the glass and debris, according to officials. The driver of the car was not injured. No charges have been filed at this time. This entry was posted in Uncategorized and tagged Accident, cali, California, Car Accident, Car Crash, elderly man, law, lawyer on February 5, 2014 by Bryan Nguyen. A vehicle traveling near Winter Haven, Fla. crossed the oncoming lane, crashed through a fence, went down an embankment, and landed upside down in a water-filled ditch. A driver traveling along the highway spotted the car accident around 7:45 a.m. Thursday, according to a Polk County Sheriff’s Office report. Two men, Taylor Jeffrey Bowden, 23, and Rafael Fernandes De Aguiar Valim, 25, who was driving the vehicle, were both killed in the accident. The third man, Robert Lewis Edwards, 22, was rescued from the neck-deep water. 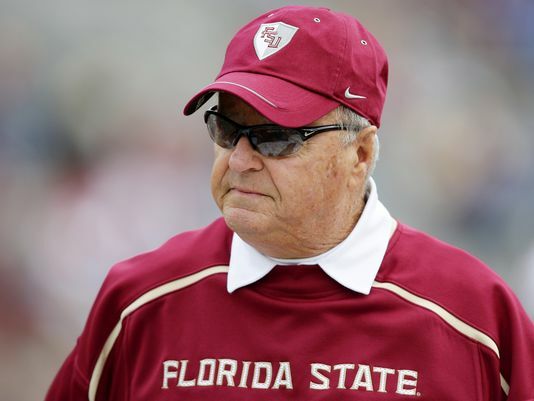 Bowden is the grandson of former Florida State football coach Bobby Bowden. This is the second grandson Bobby Bowden has lost in an auto accident. Bowden Madden and John Allen Madden were killed in 2004 when the car they were in collided with a utility truck. According to the sheriff’s office, it appears alcohol might have been a contributing factor. There were few other details so far from the investigation. The car accident remains under investigation by local officials. This entry was posted in Uncategorized and tagged Accident, attorney, bobby bowden, California, car, Car Accident, Car Crash, crash, Florida, florida state, football, law, lawyer, Vehicle on December 27, 2013 by Bryan Nguyen. 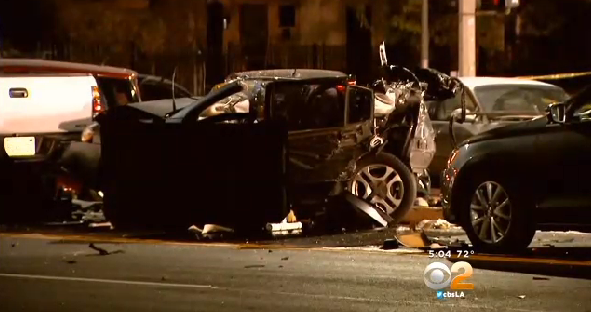 A seven-vehicle crash left one dead Monday night in San Fernando Valley, the Los Angeles Police Department said. 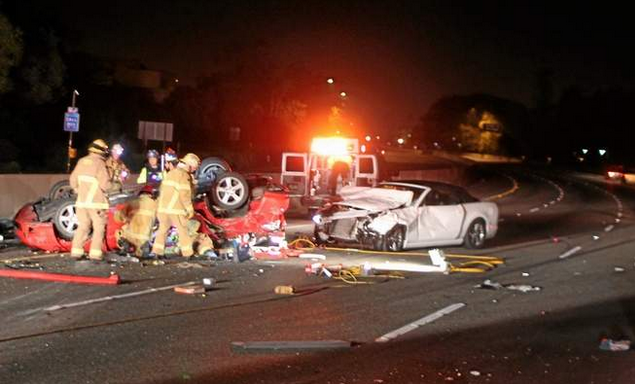 The accident happened at 11:05 p.m. in the 19200 block of Ventura Boulevard in Tarzana. The male driver of a gray Ford Taurus, and suspected of drunk driving, was driving eastbound on Ventura when he crashed into six vehicles stopped at the intersection. He was allegedly traveling at a high rate of speed, the LAPD said. An unidentified 60-year-old woman from Los Angeles, who was in the first car to be struck, was pronounced dead at the scene. The suspected drunk driver, who is described to be in his 30s, went into a nearby convenience store, purchased a six pack of beer, and began drinking after the crash had occurred. “He was loudly asking for the beer, ‘I need beer, beer,’” the clerk said in an interview with CBS Los Angeles. “We’ve seen this happen in the past where somebody, because of the level of stress or whatever the situation is, they go out and consume some alcoholic beverages,” Det. Bill Bustos said in an interview with CBS Los Angeles. Three other people suffered minor injuries. The suspect was transported to a local hospital in stable condition. The accident remains under investigation. No arrests have been made. This entry was posted in Uncategorized and tagged Accident, alcohol, attorney, California, Car Accident, Car Crash, crash, dead, deadly, drunk, drunk driving, killed, LAPD, law, lawyer, Los Angeles, San Fernando on December 25, 2013 by Bryan Nguyen. While the death of actor Paul Walker, famous for his appearance in the Fast and Furious film franchise, has shocked many, media attention has been keenly focused on the car he was killed in. Beneath the hood of the rear-wheel-drive Porsche Carrera GT is a 605 horsepower 5.7-liter V-10 engine. It can achieve 0-to-60 in 3.5 seconds and carried a price tag of $440,000 at the time it was sold. 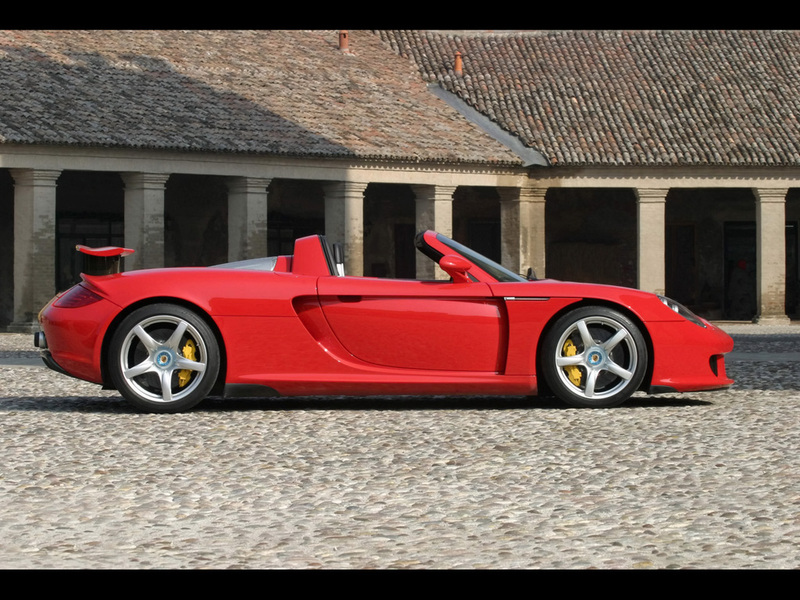 With only 1270 built, the Porsche Carrera GT is quite the rare vehicle. While the car is powerful and lacks many of the driver-aids found on modern cars, its performance is no longer anything spectacular. Numerous cars on the market today achieve the same performance numbers as the GT at a much lower price, yet they have a lot more technological safety devices. The Carrera GT has been called a racecar for the street and a street-legal supercar. Investigators have ruled out excessively high speeds and street racing as the cause of the crash. Experts are speculating that there was a mechanical failure that led to the crash, focusing on an issue with the power steering system. It will take time before there is an official cause released by investigators, but right now, it appears that it was all a freak accident. This entry was posted in Uncategorized and tagged Car Accident, Car Crash, Carrera, Carrera GT, CGT, Paul Walker, Paul Walker dead, Paul Walker death, Paul Walker died, Porsche, Porsche Carrera GT, Porsche CGT on December 4, 2013 by Bryan Nguyen. On Monday, in Azusa, California a young child was killed a numerous others were injured after being involved in a car accident. The crash involved two smaller vehicles, a truck, and a transit bus and occurred at 8:40 p.m. on Citrus Avenue at Gladstone Street. Police arrived at the scene; however, a nearby resident was the first to assist the victims. Daniel Romero lives down the street from the location of the accident and ran out to help after he heard a loud crash. He attempted to give CPR to the 4-year-old girl before medical examiners arrived. The girl whose identity has not been released was a passenger in one of the two vehicles, but police are not completely sure which at this point. She was airlifted to a hospital, but unfortunately she could not be saved. Additionally, two adults and two children were injured and transported to a hospital. Two bus passengers suffered minor wounds and only one was taken to the hospital; the other was treated on the scene. The cause of the accident is still under heavy investigation. Police found children’s seats in one of the cars, but they are not sure whether they were secured correctly or if that was the victim’s vehicle. The conditions of the injured passengers are also unknown at this time, but no further fatalities have been reported. This accident is incredibly unfortunate for the community and for all of those involved. If you or someone you know has been injured in an accident, contact a Los Angeles car accident attorney who will assist you with identifying negligence, filing insurance claims; and can ensure that you receive the highest possible compensation for the damages that you have suffered, including punitive damages in the event of serious injury or death. This entry was posted in Uncategorized and tagged Accident Attorney, Azusa, Car Accident, Fatality, Injuries, Los Angeles, Police Department on July 17, 2013 by Bryan Nguyen.